White Box Contemporary is having one of its frequent and electric art events this month. Chris Trueman’s show “Lineage” will open with a reception early in the evening on June 22. If you, like we at Reviewer, like fine art and are into pleasant company come check it out! 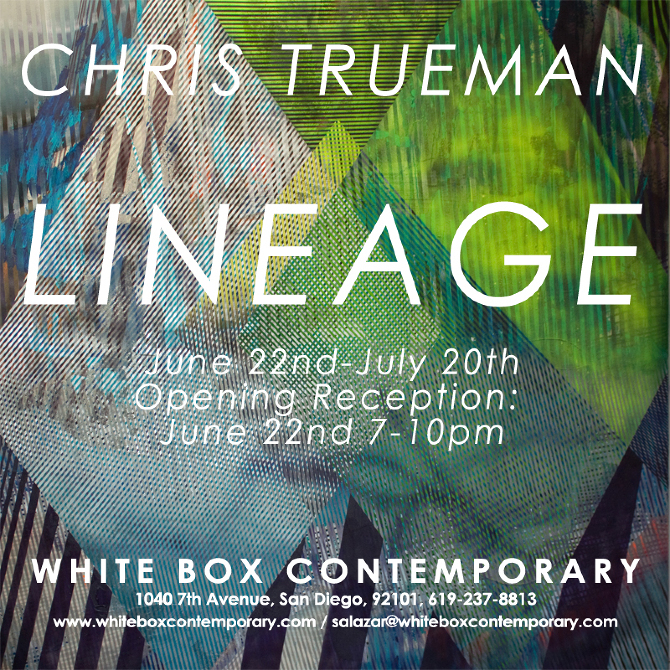 Upcoming art show: Chris Trueman, LINEAGE, at White ox Contemporary, June 22 Reception, 7-10 p.m.